The gallery will be open by appointment only through June due to international travel commitments. We fully open again in July with a brand new exhibition. Please call 0403 838 126 for all enquiries. 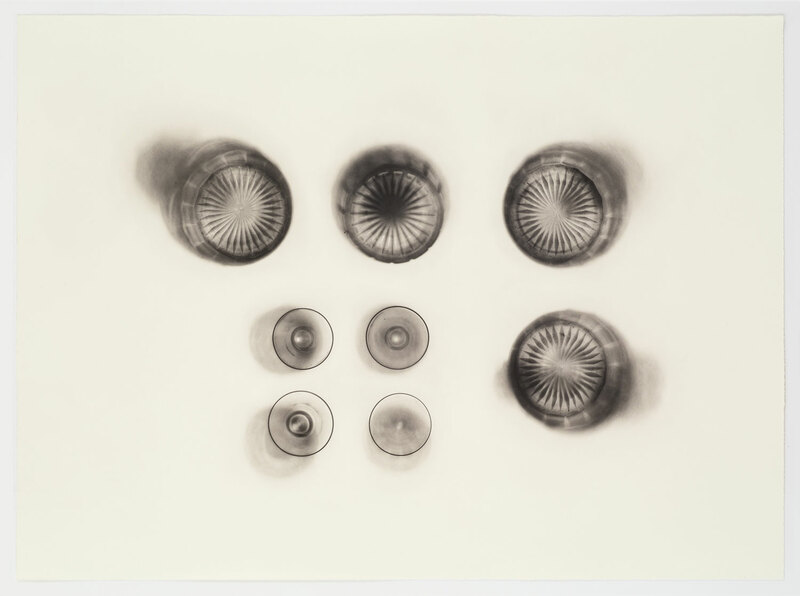 -f-i-l-t-e-r- is excited to be showing a selection of recent polymer photogravure works by the brilliantly inventive and acclaimed British artist Cornelia Parker. Parker came to prominence 30 years ago with Thirty Pieces of Silver (1988) in which she flattened a selection of silver-plated objects including teapots, spoons, trophies and musical instruments under a steamroller, then suspended them from the ceiling so they appeared to defy gravity, levitating just off the floor. She likened this work to placing a coin on a railway track, where a destructive act can create an alternative imaginative currency. In the three decades since, Parker has consistently captured the imagination with a remarkable body of work underpinned by her beautifully poetic and oddly humorous view of the world. Subsequent projects have included getting the army to blow up a garden shed, resurrecting the charred embers of a church which had been struck by lightning, firing pearls through a shotgun and placing a piece of the moon at the bottom of a lake. The artworks showing at -f-i-l-t-e-r- are from three main bodies of work produced by Parker between 2015 and 2017 working closely with master printmaker Pete Kosowicz from Thumbprint, London: ‘One Day This Glass Will Break’ (2015), ‘Thirty Pieces of Silver (Exposed)’ (2015) and ‘Fox Talbot’s Articles of Glass’ (2017). Presented chronologically in the gallery from left to right, the exhibition highlights the thought processes and development of Parker’s deconstructive approach to photogravure etching. Initially drawn to how things are traditionally pressed between a polymer plate and a glass plate prior to exposure to UV light (in order to get better contact and make a crisper image), Parker decided to position found and collected transparent objects directly onto the prepared polymer surface, effectively replacing the glass plate, resulting in shadowy images of varying clarity which seem to accentuate the three-dimensional qualities of the objects. Whilst the earlier works presented here consciously reference William Henry Fox Talbot, who experimented with early photogravure before discovering a way to make photographic negatives, in Parker’s most recent work the reference is direct. In Fox Talbot’s Articles of Glass (bottoms up) (2017), Parker has used the actual glass objects used by Fox Talbot in his early photograph Articles of Glass (1844). Cornelia Parker was named UK Election Artist for 2017. She won the Artist of the Year Apollo Award in 2016 and was given the Roof Garden Commission at the Metropolitan Museum of Art, New York. In 2010 she was awarded an OBE and was elected to the Royal Academy of Arts. She was shortlisted for the Turner Prize in 1997. Her works are held in numerous major collections worldwide including Tate, London, and MoMA, New York.